The Kaanchi Diaries: Kartik Tiwari, "Kaanchi is Subhash Ghai's comeback"
Kartik Tiwari, "Kaanchi is Subhash Ghai's comeback"
After Akaash Vani, actor Kartik Tiwari will be seen in Subhash Ghai's upcoming release Kaanchi. 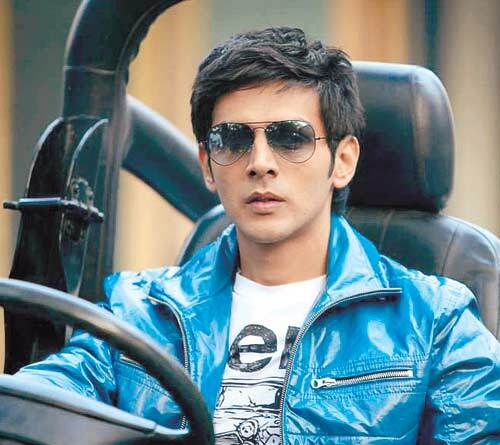 Kartik is two films old and a call from a veteran like Subhash Ghai came as a pleasant surprise for him. "After Akaash Vani, I did not expect to have a film, that too from Subhash Ghai. So when Mukta Arts called me, I was very obliged. When I met Subhash ji for the first time, I was really happy. It's a dream come true as I'm learning a lot. I expect things to change for me with this film", says Kartik. Although Subhash Ghai's last few films have not worked at the box office, Kartik is not bothered by this. "Subhash ji is legendary and given 11 hits in a row. So if a few of his films did not work, it doesn't matter. Hits and flops don't count. No one will ask why I'm working with him. In fact, everybody in the industry is asking who Subhash Ghai has cast in his films. I and my co actor Mishti (who makes her debut with this film) have become talking points. Kaanchi's a musical thriller and the USP is that it's Subhash ji's comeback film. Kaanchi's got a lot of action, scenes and story. It's very real".